Integral to process control in many industries, level measurement sensors fall into two main types. Point level measurement sensors are used to mark a single discrete liquid height–a preset level condition. Generally, this type of sensor functions as a high alarm, signaling an overfill condition, or as a marker for a low alarm condition. Continuous level sensors are more sophisticated and can provide level monitoring of an entire system. They measure fluid level within a range, rather than at a one point, producing an analog output that directly correlates to the level in the vessel. To create a level management system, the output signal is linked to a process control loop and to a visual indicator. OMEGA Engineering offers a wide range of level sensors in Taiwan. 1. Are you measuring a liquid or solid? 2. 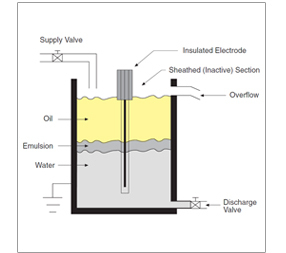 What are the application's temperature and pressure ranges? 3. Is point level or continuous measurement required? 4. What level measurement range do you need? 5. Is the measured material electrically conductive? 6. Will the material coat or build up on surfaces? 7. Does turbulence, foam, or vapor occur at the surface of the liquid? 8. Will you need contact or non-contact level measurement? 9. What kind of output do you need–analog, relay, digital display, etc. ?